Do you ever just get tired of wasting money on skincare products that disappoint? I totally do too. You get promised amazing results and more often than not...you get nothing but an empty wallet. So let me first tell you a little bit about my skin. I have terrible combination skin. I'm beginning my, (cough) forties and things just seem to be going south. 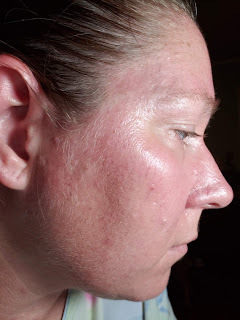 Growing up, I had acne pretty bad, most of my skin was pretty oily but some very dry and flaky. As I've gotten older my skin has changed. My face has seen a lot of sun and unfortunately, when I was younger, sunscreen wasn't as publicized as it is now. 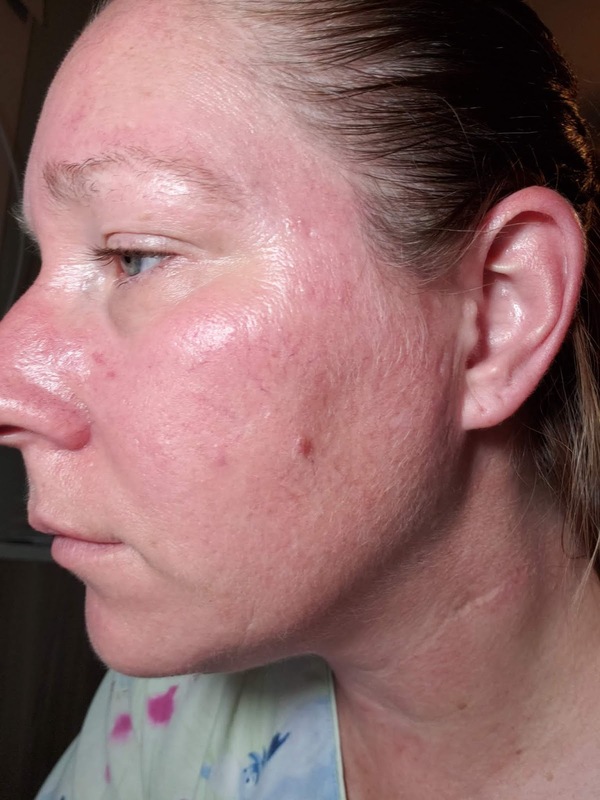 I have an area on my forehead that is damaged as well as fine lines and wrinkles starting. Some from sun exposure, some from age. 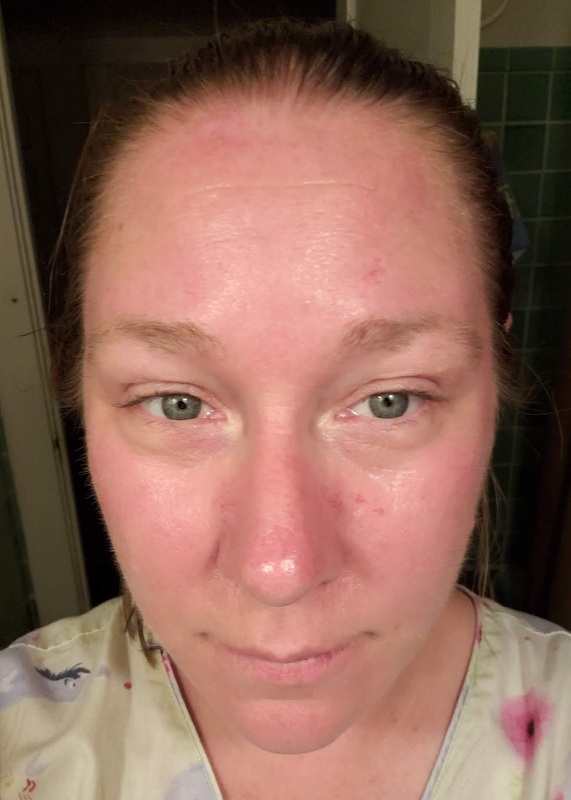 My face stays very red and I still suffer from occasional acne. Lately, I have been getting red spots on my face. I'm not quite sure if they are age spots or something else going on. Anyway, to say the least, my skin is horrible and not getting any better. Finding skincare that meets all my needs is nearly impossible. I'll find something that works for one issue, but have to buy something else for another issue. By the time I'm done, I've spent 100's of dollars and my bathroom cabinet is bursting at the seems. 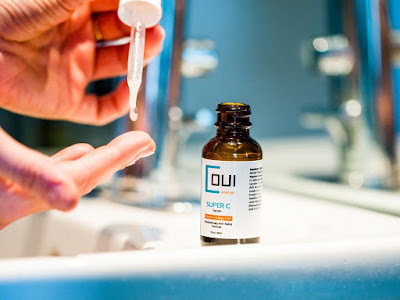 I was introduced to COUI Skincare through its founder Alessandra Poletti. I was very intrigued by her products just by reading her history and how she came about COUI. Let me tell you a little bit about her background. Just like myself, she had skin issues and was tired of spending money on things that just didn't work or irritated her skin. She researched skincare articles until she found one written by Dr. Sivak that caught her eye. She reached out, researched natural ingredients and with a team of researchers, developed what is now COUI. Alessandra is so sure of her products that she offers a 100% lifetime...yes I said LIFETIME satisfaction guarantee! 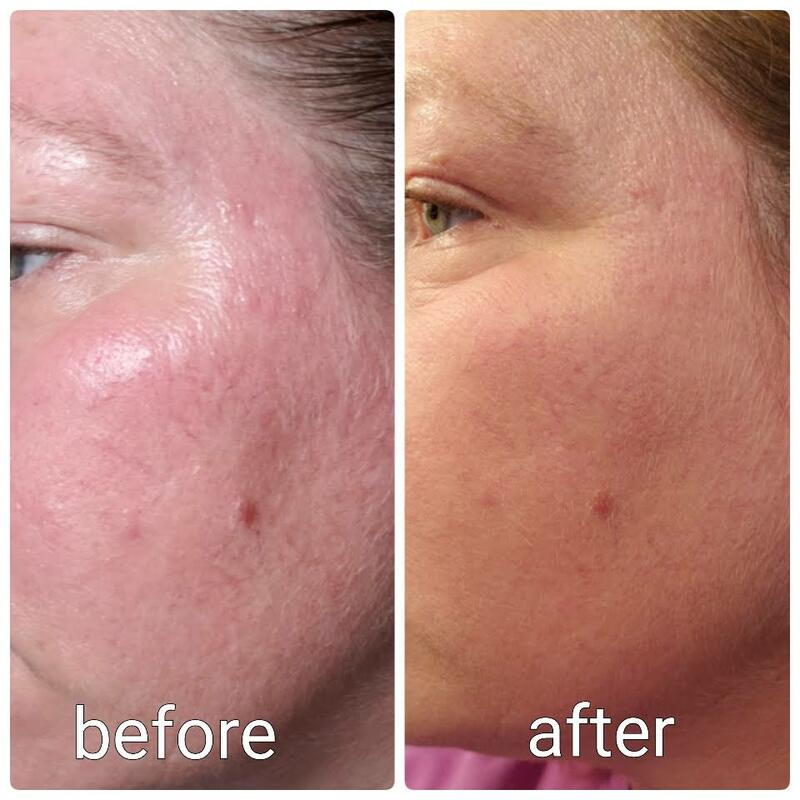 Now, what other skincare products do you know that will do that? So now let me tell you a bit about the product Super C Serum. 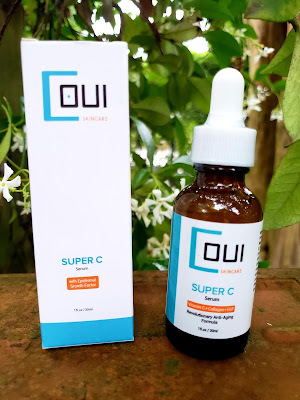 Super C contains high-end natural ingredients such as Marine Kelp, Highest form of Vit C, Hyaluronic Acid, Vit B3, lemon extract and other natural ingredients. A full list of ingredients can be found HERE. The Super C Serum claims to reduce fine lines and wrinkles, diminish age spots and acne scars, give a more youthful and toned appearance and give you skin that is radiant, glowing and luminous. 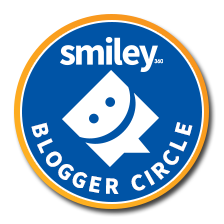 So what did I think of the Super C? Did it hold up to its reputation? I'll let you be the judge of that. I started using the Super C 2 weeks ago. Below are pictures of my skin before I started using the Super C.
As you can see, I have sun damage to my forehead and nose, redness, spots and of course some wrinkles. "Cleanse and dry skin. Shake product well. Apply in small amounts--just a few drops--to face, jawline, neck and décolleté areas. This is a richly textured and highly concentrated serum so use just a small amount to enable the serum to absorb quickly and to minimize stickiness. Adjust gradually, as needed. Allow time to absorb prior to moisturizer application. Use up to twice daily. For added results and shelf life, we recommend keeping the serum refrigerated." I personally kept mine in the bathroom where I wash my face. It was easier for me to get to and was there to remind me to use it. After I apply the Super C, I add my moisturizer and if I plan to wear makeup that day I apply after everything has absorbed into my skin. The COUI Super C has a built in dropper for easy application. Just add a small amount to fingertips and rub onto face and neck in an upwards motion making sure to cover all areas. It does not take a lot of the product to fully cover the areas recommended. When I apply my makeup it doesn't affect the appearance of it in any way. I have no sploches where the makeup is applied nor any discoloration. It leaves the skin looking smooth and even. Whether I'm wearing makeup or not, I can definitely tell a difference in the appearance and feel of my skin. 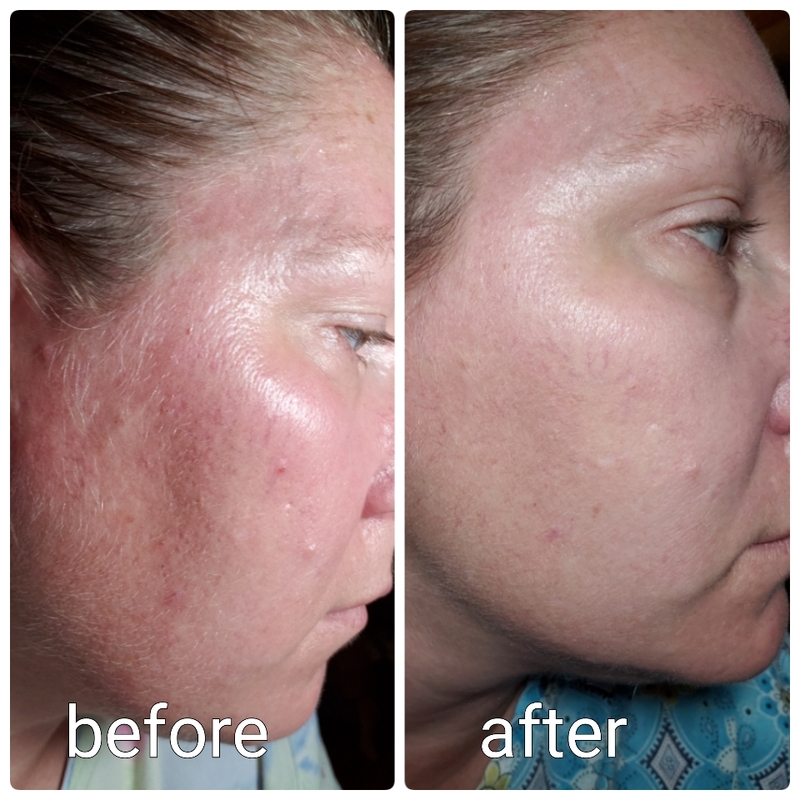 The redness has diminished, the spots are fading, my skin feels smooth and more moisturized than before. 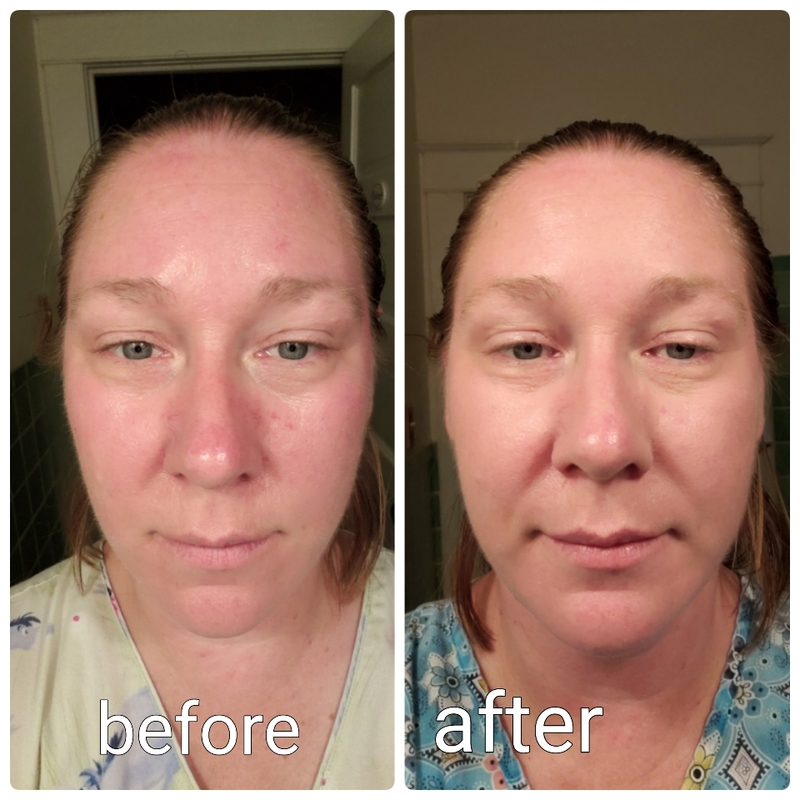 Here are the results of my skin just 2 weeks after using the Super C. I have placed side by side pics so that you can accurately see the difference! COUI has successfully changed the way my skin looks and feels in just a short time. I can't wait to see what it can do for the long haul! 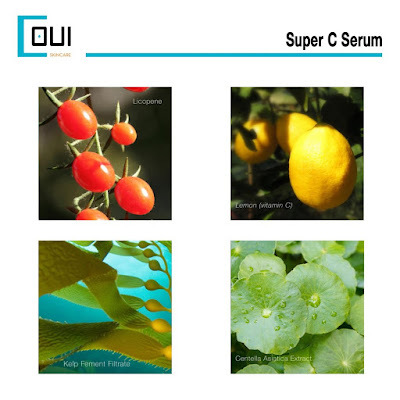 You can find COUI Super C Serum and purchase this and other products on their website. COIU Skincare offers a 100% lifetime satisfaction guarantee on all their products! What better way to celebrate dad than with a little extra spending money. 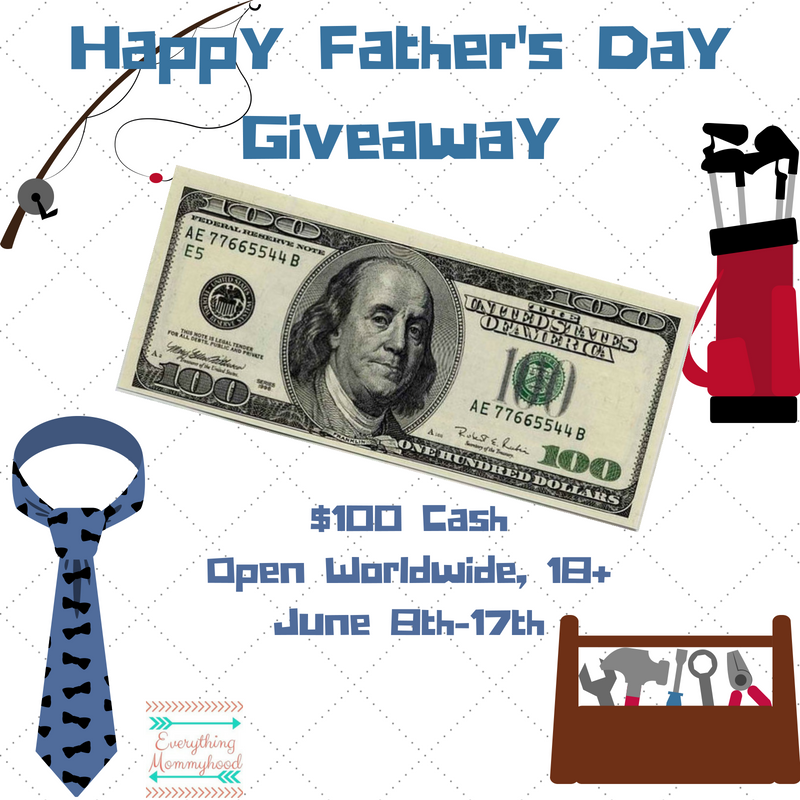 What would you get yourself for Father's Day if you had an extra $100 to spend on anything you wanted? Here is your chance to spend Father's day like the awesome dad you are. For those of you out there who love the combination of chocolate and coconut, I certainly have a treat for you! The Brooklyn Bean Roastery has a delicious coffee made with 100% Arabica coffee beans that combines the flavor of chocolate with coconut for a bold flavor you won't be able to resist. The Cocomocha has a rich deep flavor that pleases the tastebuds from the first sip to the last. 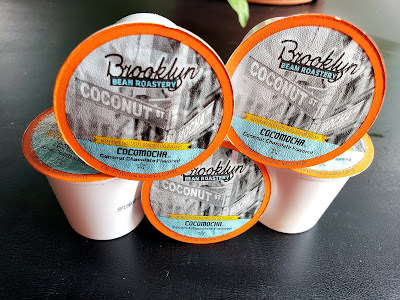 When I take a sip I get a burst of chocolate flavor with a hint of coconut right behind it, giving me the full experience of both flavors together. I truly appreciate the boldness of the coffee. It greets me in the morning and helps me start out my day on the right track. 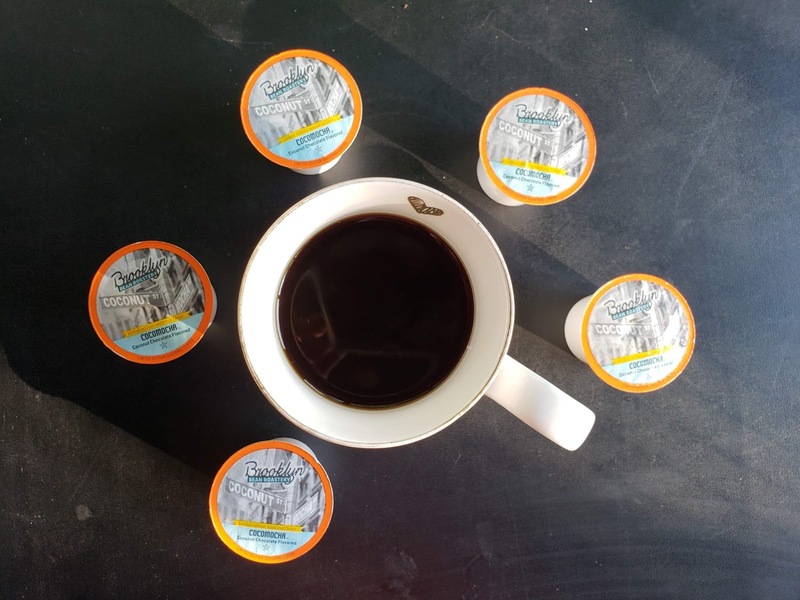 I had to share this with my husband...I know, I know, when it comes to coffee it's really hard to share. But I am a generous soul. His response to the taste of the coffee was that it reminded him of a German chocolate cake. 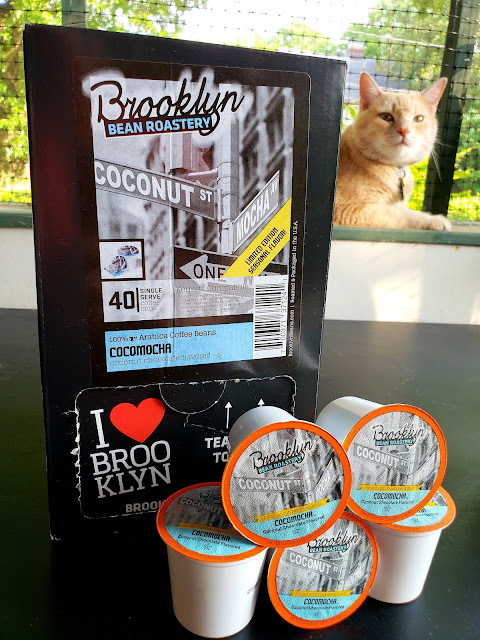 The taste of mocha and coconut together was perfect! In fact, he tried to hide the coffee from me so that he could keep it all to himself 😂 If I have to share...so does he. Now the Cocomocha coffee is only available for a limited time so hurry up over to Amazon and pick up some of this deliciousness before it's gone! 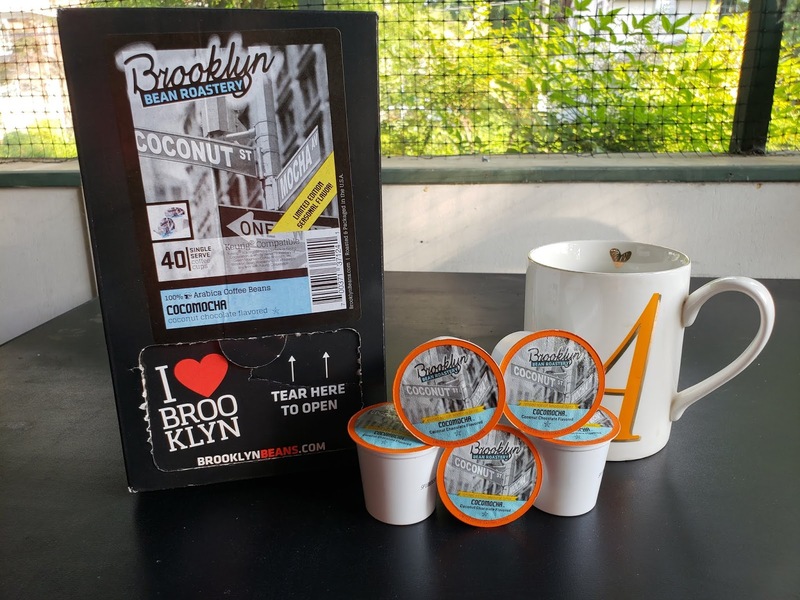 Brooklyn Bean Cocomocha is compatible with all Keurig machines so you'll be enjoying the taste in seconds. Want to win it before you buy it? Check out my giveaway HERE for your chance to win a 40 count box of Cocomocha coffee!